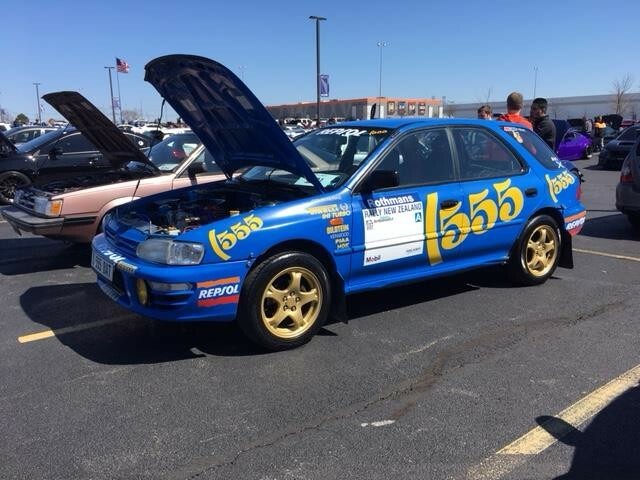 Painted and stickered up to look like Colin McRae’s 1994 Rally New Zealand car. Lifted with King springs KYB AGX Struts. Full underbody protection from Primitive racing. Subframe lockout bolts, whiteline rack bushings, fully adjustable SPC lower control arms. Interior stripped, many more smaller mods. It’s basically a race car, lol.